Any company worth its salt, whether it’s a manufacturer or service provider, is well aware of how important its Internet presence is. Even though your business may seem small, it can go big if you know how to reach each and every potential customer in all corners of the world. 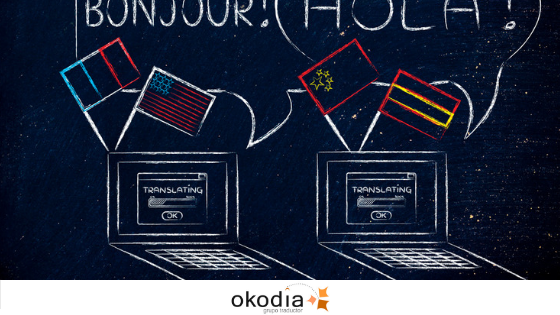 To reach them, it’s essential to have a goodtranslation of your website, and not one done using machine translation or by just anyone who has a rudimentary knowledge of the target language. As always, it’s essential for the translator to not only be well versed in the working languages, but also to have in-depth knowledge of the topic to be translated. A very clear example of this can be found when you surf the Internet and take a look at one of the legal notices that all websites must have. The specific case of English—and I’m using this language as a general example, as this is the language which most websites from anywhere in the world are translated into—certainly illustrates the point I’m trying to make. It turns out that from time to time, the website has been translated by someone from the company itself who is familiar with the working language and naturally knows the product very well. No objections there. Nevertheless, when you get to the Legal Notice section, things get a little hairy, as legal matters that amateur translators generally know little about are involved. As a result, you can find example of flagrant unfamiliarity with the specific vocabulary for this type of notices, or you can find literal translations of some of the clauses in the terms and conditions of use, which are redundant or meaningless in the target language. Two very clear examples that can illustrate this are the disclaimers of warranties and limitations of liability, and the invalidity or unenforceability of provisions. Any individual who is unfamiliar with the legal framework of English-speaking countries—despite how well they know the target language, even if they’re native speakers of English—, will naturally fall into the trap of translating these concepts literally. I’ve run across these concepts translated as “guarantees and responsibilities exclusion” and “nullity or inefficiency of the clauses”, respectively, not just once or twice, but many, many times. The legal concepts that are correct in these cases are “Disclaimer” on the one hand and “Severability” on the other. Anyone who is more or less familiar with the types of contracts common to countries on the continent and those in English-speaking countries knows these concepts and the terminology applicable to each of them in every culture. If you leave your translations in the hands of amateur translators who do not work as full-time translation professionals, you’ll surely end up with texts lacking in rigor and accuracy which are incapable of getting the right message across. If you want to find customers from all over the world who will view your company as a place from which they can make their purchases and engage services safely and reliably, you must make every effort to project this image of trustworthiness, rigor and professionalism. The translation of your website says it all: it’s the first impression of you that customers get. So, why settle for translations done by amateurs?